Established in 1934 for isolating passengers and crew members with suspected infectious diseases (mandatory for port cities), the 'QI grounds' have served as a production site for artists since 1980. The complex consists of a disinfection plant, a kitchen building, a nurses' home, a mortuary, employees' quarters, isolation quarters, captain's quarters, contacts' quarters and a porter's lodge. All are of brick and have pitched roofs. Lawns and privet hedges divide up the grounds. 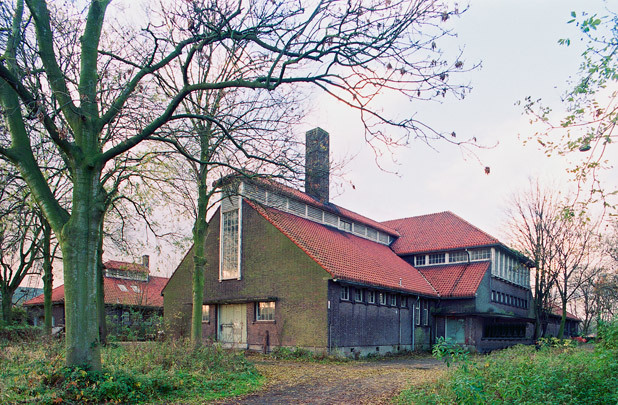 But instead of accommodating sick travellers, it became a temporary home for refugees from Germany, German soldiers, TB sufferers, repatriated soldiers from the Dutch East Indies and, between 1953 and 1981, elderly psychiatric patients from Maasoord hospital.